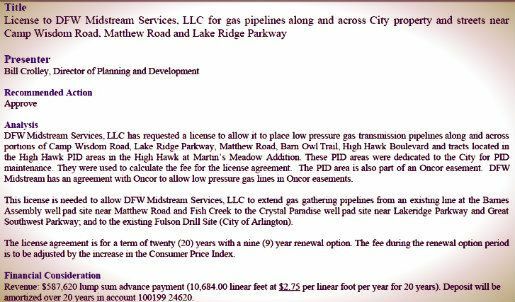 You may recall that there were precisely three attempts made by our Grand Prairie, TX City Council to place unodorized gas gathering pipelines in our Westchester and other South Grand Prairie, TX neighborhoods last fall and in the final Public Hearing on January 3rd, 2012 (we'll link to those stories in a little while). **Updated with Links**Click Here, Click Here, Click Here and Yes, Click Here. 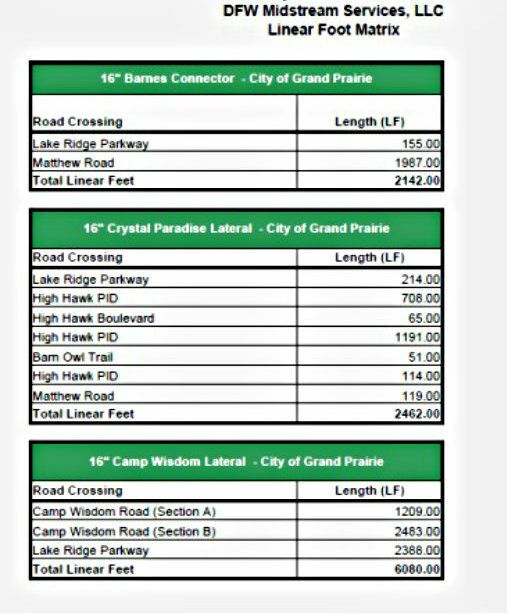 Certain members of our southern Grand Prairie community presented statements in opposition to these lateral gathering pipelines that would run through the heart of our community. It was a pipeline system many considered to be "inevitable." It all happened between Thanksgiving and the New Year and made for a festive 2nd straight year of spending our holidays with the gas drilling issue front and center. 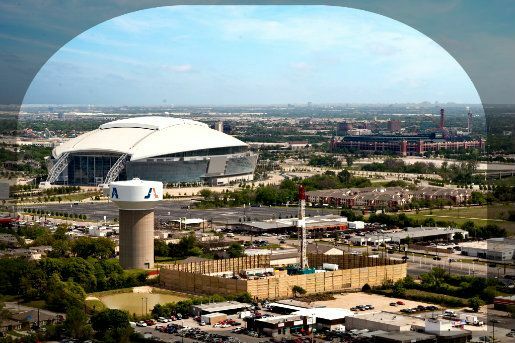 We thank DFW Midstream and our own Grand Prairie, TX City Manager and City Council for making it all possible. Those attempts failed. Now, we hear from our Trailwood neighbors (to the west of Westchester) that gas gathering pipeline markers have actually been staked out for the placement of a new route for these gathering pipelines since long before the summer. DFW Midstream (in $$cooperation$$ with our City and other cities in the Barnett Shale) tries very hard to be a utility since utility companies do what they do "for the public good." Sadly, the shale gas business wants us to see them as a very well-regulated "public utility," unfortunately, they're not. 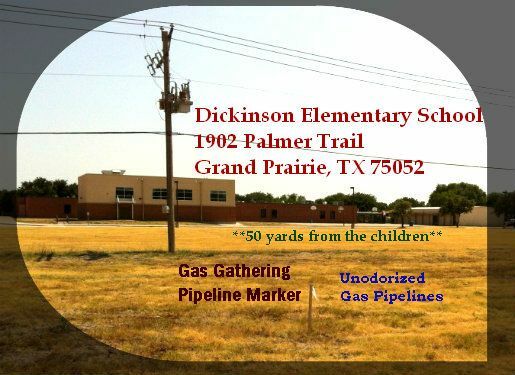 Question #1: If you think that placing unodorized gas gathering pipelines within 50 yards of children attending Dickinson Elementary School is a rational and sane idea, please raise your hand? Anyone? Yes. They were "unodorized" gas distribution pipelines. GASFRAC has developed an innovative closed stimulation process and injection method, utilizing gelled LPG rather than conventional frac fluids. 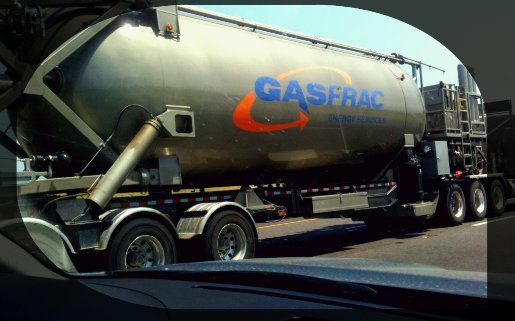 And the "proprietary" GasFRAC prevents vapour buildup? ** Update: Hmmm. Apparently, this blog post landed on a stock market message board!?? We have had more hits on this blog post within the last 24 hours than any of our posts in such a time period, lately. Too bad. The stock market crowd only wants to know how GasFRAC is doing. They really don't seem to care about the BIG PICTURE. And want to tell us how the cow ate the cabbage...rather than how the cows died from drinking the fracking fluid. Oh, and to the Anonymous commenter who left such a detailed reprimand for us ~ Thank you. Unfortunately, it was accidentally deleted by our iPhone. Please post it again, and we'll be sure to post it as long as the condescension is down a notch or two. Thank you, everyone, for reading. And try to think about making your money from businesses that are in business for the good of humanity. This ain't it. Amen. 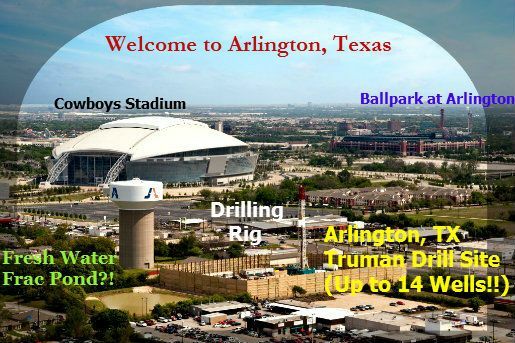 Cowboys, Baseball and Gas Drilling ~ Yee Haw! You can certainly find more information about ALL the drilling operations in Arlington, TX by clicking here and visiting Chesapeake's Arlington Neighborhood Center. It's very user-friendly. We count 35 Chesapeake drilling sites inside the Arlington, TX city limits. Beautiful! 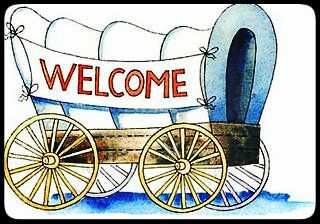 So, bring out the Welcome Wagon. The Truman has landed! AMEN. **Update: Here's some more detail. Just in case you aren't sure what you are seeing. We understand how it's hard to know with all of this. It's a very special and unique new neighbor. It happened early yesterday morning (August 2, 2012). A Dallas-based company operates the refinery. Posted: 08/02/2012 Last Updated: 21 hours and 44 minutes ago TULSA - No one was injured Thursday when the HollyFrontier Refinery caught fire in west Tulsa. Just before 2:30 a.m.,an explosion was heard coming from the refinery near 23rd and Southwest Boulevard. Flames could be seen shooting several feet into the air and the glow was seen at least 6 miles away. Refinery officials say the fire started in the diesel hydrotreater unit at the Tulsa East refinery, which is the old Sinclair refinery. The fire was contained by the company's emergency response team. All personnel were accounted for and there were no reported injuries.